Ahhh... summer vacation!! Eagerly awaited by all in our family and arriving none too soon. For weeks I've dreamed of sleeping until I simply awoke on my own without the help of an alarm clock, throwing our schedules out the window and enjoying leisurely breakfasts with the kids. Liv's dreams are nearly the same, but but her idea of the ideal leisurely breakfast is not quite the same as mine. While pancakes rate high on both of our lists, our concept of the perfect pancake varies. Mine would be filled with whole grains including wheat germ, flax meal and rolled oats combined with a touch of brown sugar, then topped with nice layer of nuts and bananas - like these. Liv however prefers her pancakes more along the simple line... simple white flour along with a decent amount of sugar combined with the nice tang of buttermilk. Hers would be topped with fresh strawberries and then doused with maple syrup. In the past I've taken the basic buttermilk pancake recipe and added a touch of wheat germ or flax meal and then reduced the sugar in the recipe to make the pancake a bit healthier, however the first day of summer vacation is a special day deserving of a special treat. With Liv's adorable smile and those long eyelashes batting my direction how could I resist her? "Besides," she asked, "How often does one receive a 101.6% final score in math?" Knowing right where to turn for the ideal recipe I pulled out a copy I had saved for just such an occasion. In early June, Christiane, The Mom Chef - Taking on Magazines One Recipe at a Time, posted Buttermilk Pancakes from the Best of Fine Cooking - Breakfast, 2011. Reading that these pancakes were Dudette approved was the only stamp of approval we needed and Liv and I got to pulling ingredients from the pantry. 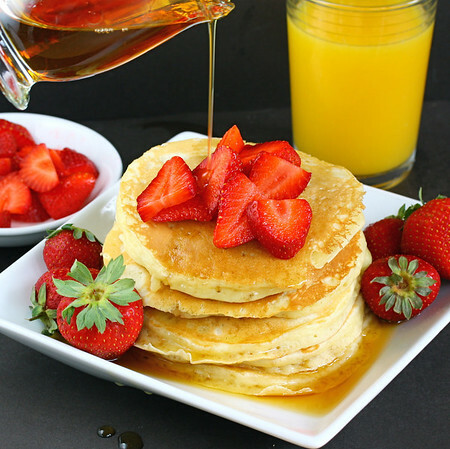 Serve fresh strawberries and maple syrup. 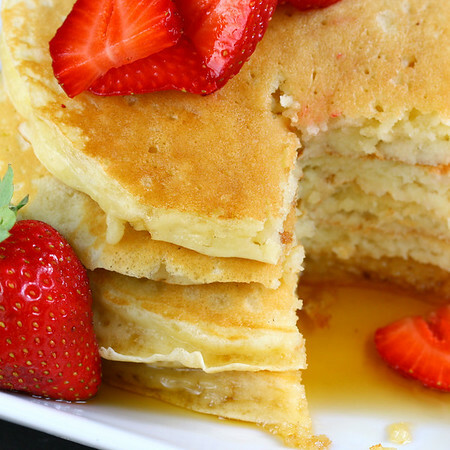 Gorgeous pictures of gorgeous pancakes! I think I have Liv's taste in pancakes too :) But I often try to go your route, because it's healthier :) I love buttermilk pancakes, and this recipe sounds and looks like a keeper! Have a wonderful week, Kim! Gorgeous pancakes...never tried with buttermilk but i'll sure do next time! LOL, I can understand Liv's dream pancakes. And these certainly do look dreamy! Beautiful pancakes! enjoy the start of summer vacation! The poor kids over here still have a couple more weeks to go because of our terrible winter! Congrats to Liv on her amazing math score! I was never good in math so I am entirely impressed!! These pancakes look delicious! Thanks for sharing!! And pairing it with fruit, for a little bit of healthyness, is perfect! These look beautiful! 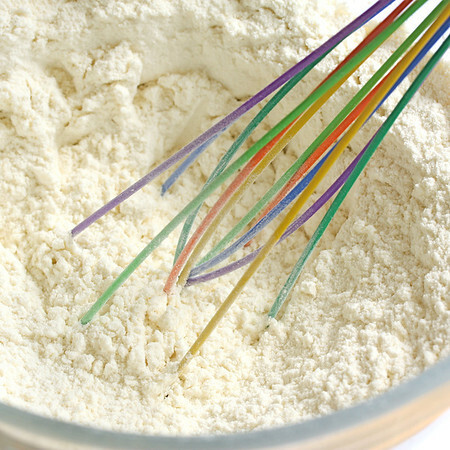 :) And I LOVE your colorful whisk!! Ahh, how I wish it were Sunday morning and I could make these (although I doubt mine would look as good as yours). Wonderful pics! I would have to say that either way ladies I would be in heaven! I love both those style pancakes. Buttermilk pancakes remind me of my grandmother when I used to go visit her on her farm...these take me back. They are so pretty! I want to go to your house for breakfast! I'm with Liv, I like my pancakes simple, these look perfect. Actually, the last time I ate pancakes was a year ago on our honeymoon, it must be time again! That stack is the prettiest stack of pancakes I have ever seen... gorgeous! 101.6%?! in Math?!? WOW! BRAVO! You have no idea how good pancakes are sounding right about now. Way to go Liv on the math test. I have to side with Liv on this one, I prefer my pancakes this way. Hope you guys enjoy the break. Beautiful pancakes! I don't remember last time seeing such gorgeous pancakes...wait, maybe I have never made one! Looks delicious. Wish tomorrow is weekend so I can dream of having pancakes. Is there any better way to kickoff summer vacay than treating your kids to pancakes? These look amazing & I love that you kept them just good old buttermilk instead of adding things to make them healthy ~ as a special treat to celebrate. :-) Summer vacation is the best! These Look amazing! Super fluffy and perfect! Too bad we just got done with breakfast - tomorrow! Whoa! Those are gorgeous pancakes. I love plain old, normal buttermilk pancakes. Hi Kelly - the pancakes photos are fabulous. Kudos to Liv for her math score. Happy summer to the whole family! absolutely gorgeous! I want !!!!! We might make these tomorrow too! So delicious! I'm a sucker for buttermilk pancakes though. And I'm with Liv, the naughtier the better. Yum! This is my last week of school and I'm already dreaming of waking up next Monday and have the time to make myself pancakes. I'm with Liv...I love simple ones with just some fresh fruits and maple syrup. Now I know what my first vacation breakfast will be made of! Oh, these pancakes look delish! We usually only have pancakes on the weekend, but I can see these on a plate for my husband on Father's Day! Pancakes are such great breakfast comfort food. YUM! This makes me wish I had summer vacation and someone cooking me breakfast! I love buttermilk pancakes. 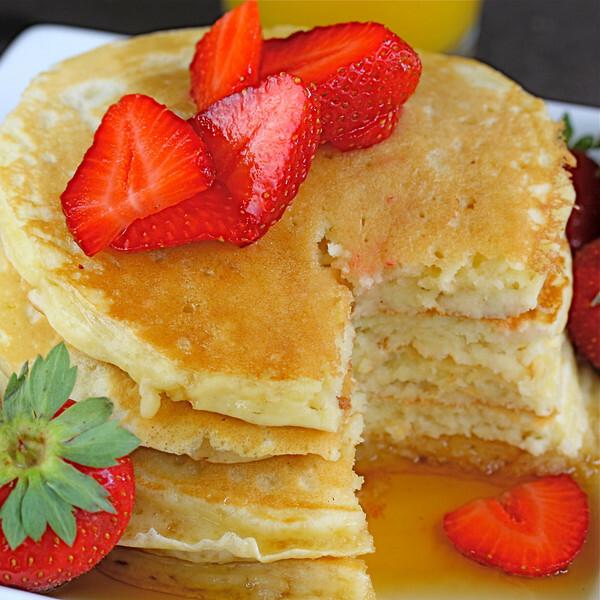 I love Pancakes and those look AMAZING! Oh my goodness!!! I'm with Liv!! Pass me a plate and a fork please!!! !